The Nokia Lumia 620 Manual or Nokia Lumia 620 user guide is now available to download directly at nokia.com. It has 106 pages and written in english language. The main subject of this manual disscuss about keys and parts, tutorial Insert a SIM card, Insert a memory card, Charge your phone, Lock the keys and screen, phone calls, using SKydrive, using contacts, using camera, Download Nokia Lenses from Store, camera tips, using nokia maps, Download Nokia Drive+ from Store, using web browser, using Microsoft Office Mobile, using Wi-fi, NFC, bluetooth, safety, Tips for business users and more. 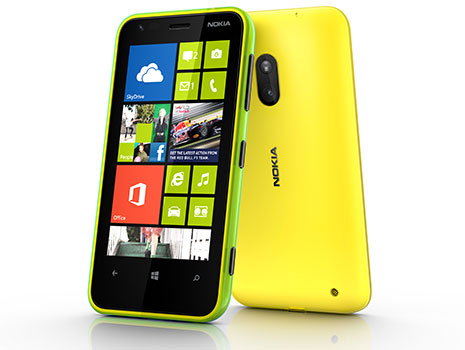 The Nokia Lumia 620 available for Canada, Asia, and Europe regions. It's work on GSM network with frequency of 850/900/1800/1900 MHz and UMTS netowrk with frequency of 850/900/1900/2100 MHz. The phone runs on Windows Phone 8 operating system and powered by Qualcomm Snapdragon S4 Dual core 1 GHz processor. The internal memory of this phone include 8 GB. In addition, available 512 MB of RAM. The Nokia Lumia 620 has physical dimensions of 11.5 x 6.1 x 1.1 cm with weight 127 grams. It has 3.8 inches, LCD (TFT) with 480 x 800 pixels resolution and support 16.7 million colors. For taking photo, this smartphone used 5+ megapixels camera with 4x digital zoom. While for connectivity support via Micro-USB 2.0, Bluetooth 3.0 and WiFi 802.11 a/b/g/n. Other specs and features such as powered by Lithium-Ion (Li-Ion), 1300 mAh battery capacity, Ambient Light, Proximity, Motion / Accelerometer, Internet Explorer Mobile, SMS, MMS, support external memory up to 64 GB, PC Synchronization, NFC, Custom Ringtones, Streaming Video, games, support document viewer with file formats like DOC, DOCX, PDF, PPT, PPTX, XLS.